Pest description and crop damage European in origin, this pest has been present in Oregon since 1929. 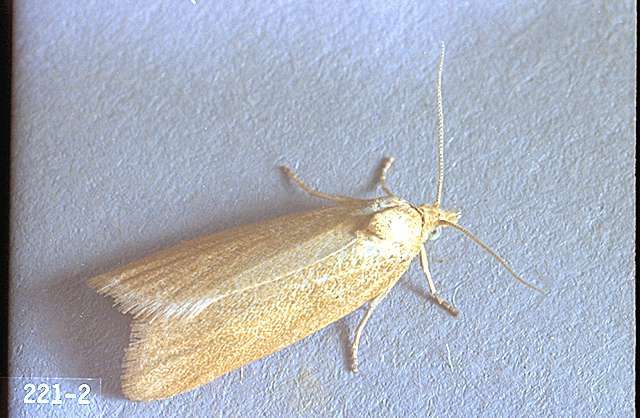 Adult female moths are grayish and mottled with brown spots. The male moth is grayish yellow. Larvae are a dirty yellow color. Larvae appear in early spring and roll and feed on leaves or inside buds. The larvae web leaves and flowers together and feed on developing buds, often resulting in destruction of the terminal growth. This pest can be a serious problem in young hazelnut orchards. 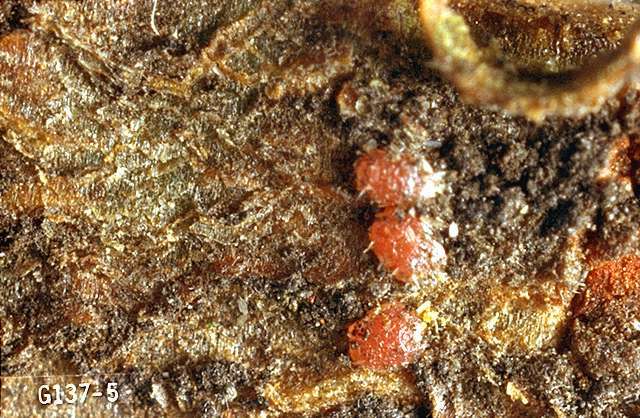 Feeding on buds and early terminals can set back tree growth and can cause poor tree structure. 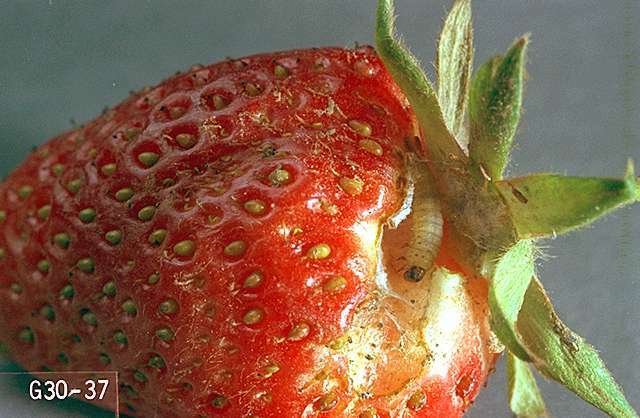 Pest monitoring Pry open buds at the time of bud break and look for larvae. Treat when you reach a 5% infestation level of buds checked. 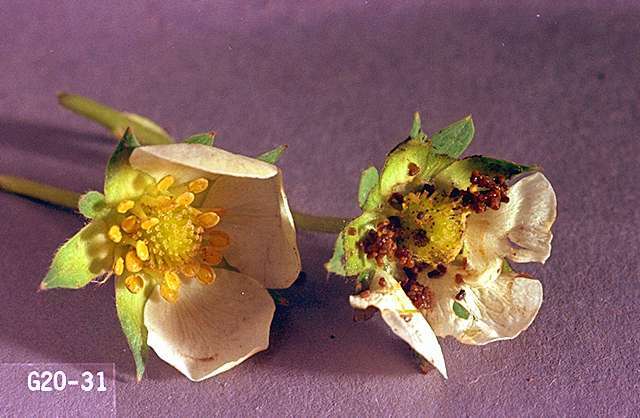 Compare with similar pests such as leafroller and eyespotted budmoth. carbaryl (Sevin XLR Plus) at 2 to 5 qt/a. 4F and 80S formulations are also available. PHI 14 days. REI 12 hr. Extremely toxic to aquatic invertebrates and bees. chlorpyrifos (Lorsban 4E) at 3 to 4 pints/a. PHI 14 days. REI 24 hr. No more than three applications per season. This pest is a problem only on first- to third-leaf trees. More than one application may be required due to re-infestation. Extremely toxic to fish. Toxic to birds and wildlife. chlorpyrifos (Lorsban 75 WG) at 2 to 2.67 lb/a. PHI 14 days. REI 24 hr. No more than three applications per season. This pest is a problem only on first- to third-leaf trees. More than one application may be required due to re-infestation. Extremely toxic to fish. Toxic to birds and wildlife. methoxyfenozide (Intrepid 2F, Troubadour 2F) at 0.12 to 0.25 lb ai/a. PHI 14 days. REI 4 hr. To control foliar-feeding leafroller larvae, apply when larvae are feeding. Most effective crop protection results from application when egg hatch begins. Do not exceed 24 fl oz/a per application or 64 fl oz/a (1 lb ai/a) per season. Do not apply within 25 ft of an aquatic habitat, 150 ft if applied by air.